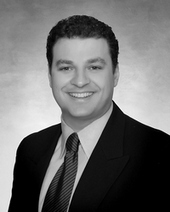 Dr. Neil Shusterman graduated form University of Southern California School of Dentistry in 1993. He practiced dentistry until 1998 in a private practice in South Pasadena, California. In 1998 he moved to the east coast with dreams of opening his own state of the art dental practice, in January of 2000 that dream came true. Dr. Shusterman provides high quality general and cosmetic dentistry to adults and children. He attends numerous continuing education classes in order to keep up with the rapidly changing technology and advance his dental training. He spends his free time with his wife and two kids and enjoys all sporting activities.